any other hearing prior to Jury Trial. Obtaining professional and effective representation immediately in your case is essential since most misdemeanor cases resolve prior to trial. The work involved in this stage is substantial. Most of the action in a criminal case is during Pre-trial. In fact, most of the court hearings that occur in a criminal case are “Pre-trial” hearings and happen significantly before the trial date. Misdemeanor Court Representation Services include full representation in court on your misdemeanor case prior to the jury trial. But what happens in a criminal case before trial? Actually, almost all criminal cases resolve prior to trial and it is somewhat uncommon for a case to go to trial. That is why having professional, experienced court representation right from the very beginning of a misdemeanor case is essential to obtaining a good result. 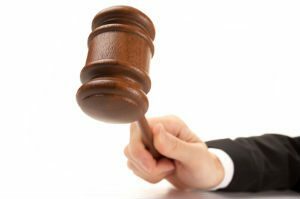 Our Misdemeanor Court Representation includes our presence at all pre-trial court hearings. This includes arraignment, readiness conferences, motion hearings, bail review, orders to show cause, warrant recall hearings, bail forfeiture hearings, sentencing and more. Essentially, it includes our advocacy and representation at all your criminal hearings prior to Jury Trial. Misdemeanor Court Representation includes professional negotiation with the government to hammer out a resolution to the case. We contact the District Attorney or other prosecutorial agency working your case, discuss the strength and weaknesses of the case, and request reduction or dismissal of the charges. Every case is different, but many cases resolve favorably for the defendant with a little bit of pointed negotiation with the government. Our Misdemeanor Court Representation Service includes helping the client assemble a packet of documents that shows the government why they deserve leniency. We call this the “Mitigation Packet.” This includes work records, grades, character letters and any other information that shows that the defendant deserves leniency. When you are charged with a crime, the judge and prosecutor do not know anything about you other than what is on the complaint and in the police reports. If we can show you are otherwise a law abiding citizen, this can often persuade the government to dismiss or reduce the charges. Our Misdemeanor Court Representation Service includes counsel and advice needed to explain court procedures, charges, evidence, possible penalties, and possible solutions to the problem. One of the scariest things about being charged with a crime is the uncertainty that lies ahead. Our attorneys can demystify the legal system so you are well informed of every aspect of your case. Our Misdemeanor Court Representation Services include assisting and directing an indepent defense investigation. Often times, the government does not have the whole story. They may not have interviewed all the witnesses or discovered all the evidence. Also, they may not have heard your side of the story. Often times, the prosecution may miss or intentionally neglect exculpatory evidence that can prove the innocence of the defendant. Because of this, it may become necessary to pound the pavement and investigate by going out and finding defense witnesses and defense evidence. We work with several independents private investigators who dedicate their services to criminal defense investigations. We direct the investigation based on the legal and factual issues of the case and they carry out an investigative plan that may very well be the difference in the case. Our Misdemeanor Court Representation Services often include consultation with forensic experts. Criminal cases often fall on technical evidence like finger prints, DNA, ballistics, psychology, voice and face recognition, eyewitness identification, breath and blood toxicology, substance testing, and more. We work with many independent forensic experts and scientists. These experts may be needed to prove some fact in your case that the prosecution missed or to disprove a fact on which the prosecution’s case relies. Our Misdemeanor Court Representation Services includes drafting, filing, and serving all legal briefs submitted to the court during the course of representation. Drafting a legal brief requires special knowledge of the rules of court, the authorities governing the legal issue at hand, and a skilled technique in legal writing. Motion briefs contain a statement of the procedural history of the case, statement of the facts, points and authorities, and a conclusion. They must also adhere to a specific legal style. They must also be filed at the court and served on the prosecution by certain deadlines as outlined in the local rules of court. Preparing legal briefs takes technical knowledge and skill, and a good one might be the difference in your case. A criminal case often requires written motions and court hearings where oral argument is heard on the motion’s issues. Criminal cases often fall on the success of these motions. We have written hundreds of persuasive criminal motions that have been the difference in our clients’ cases. The following is a few examples of motions that can be filed in a criminal case. Pursuant to Penal Code 1538.5 and the Fourth Amendment to the United States Constitution, people are protected against unreasonable searches and seizures conducted by the government. This means that if the police or other government official has violated the Constitution while gathering evidence on your case, you may be entitled to suppression of any uncovered because of the unlawful conduct. This means a jury may never get to see the evidence against you. To get the evidence excluded at trial, the court requires a written motion pursuant to Penal Code 1538.5 including full points and authorities and a hearing with witness testimony. We have drafted and argued many successful motions to suppress. Pursuant to Penal Code 1054, the prosecution must provide the defense with the evidence the prosecution intends to produce at trial. The prosecution must produce the discovery at least 30 days prior to trial. If the prosecution does not comply, the defense can file a motion to compel the prosecutor to produce the discovery and for sanctions against the prosecution for violating the discovery statute. Sometimes the sanctions result in the case being dismissed. A Pitchess motion is a defense motion whereby the defense attempts to get a copy of an involved police officer’s personnel record. This motion may be necessary when there is evidence that the police officer lied on a report or committed some other misconduct that affected the defendant’s case. In some cases, the police have based their investigation on information obtained from a Confidential Informant, aka, “Cooperating Individual.” In these cases, we may be able to unseal the name and address of the Confidential Informant for purposes of investigating him or her. After a preliminary hearing or indictment, the defense can file a motion pursuant to Penal Code 995 to dismiss the Indictment or Information. If granted, the defendant’s case will be dismissed. The defense may need more time to prepare or investigate the case. This usually requires a written motion under Penal Code 1050. Good cause for a continuance must be shown. How Can Our Misdemeanor Court Representation Services Help You? Our attorneys have a track record of successfully defending a case at pre-trial and avoiding the need for a full blown criminal jury trial. Often times when there is a strong legal defense and strong mitigation, the case will be dismissed prior to trial. We have negotiated many pre-trial dismissals for our clients and plan on negotiating many more. Call now to see if this is possible in your case. Most criminal cases never go to trial. These cases are resolved well before they even get close to a jury. As such, they often fall on the strength of pre-trial negotiations. Your attorney’s role is not only to advocate for you in court, but outside the court as well. We have negotiated hundreds of criminal cases and successfully avoided the need to go to trial. Our attorneys know how to talk to state prosecutors and how to avoid the consequences of a criminal charge. The prosecution is not always worried about justice. Sometimes they are worried about their own statistics and are more concerned with their chances of winning. We build a legal defense so that we can successfully persuade the prosecution that they have a weak case for trial. Once a prosecutor knows that their case is weak, they are more apt to cut the defendant a deal or dismiss the case altogether. We have convinced prosecutors to completely dismiss many cases for this reason. We build a strong trial defense by conducting research and investigating and use that to our advantage while negotiating a case. Expressing remorse for the conduct. When Should I Contact a Criminal Defense Attorney if I am Charged With a Misdemeanor? Immediately. If you are facing misdemeanor charges, you should contact an attorney immediately and get an assessment of the case. You may have time sensitive defenses and issues that require swift action on the part of your attorney. You cannot afford to wait. How do I know if I’m facing misdemeanor charges? If you answer yes to any of these questions, you are facing a misdemeanor charge. Have you have been arrested for a misdemeanor and are either in custody or have bailed or bonded out and have a future court date to which you must appear in court? Have you been cited by a police officer using a yellow notice to appear, and the “M” next to the charge has been circled, and you have a future date written on the ticket. If you have been arrested for a misdemeanor, cited and released, or received a notify letter in the mail informing you of pending charges, you need Pre-trial Misdemeanor Representation? District Attorney) informing you that you are being charged with a misdemeanor and that you must appear in court on a certain date? When charged with a misdemeanor, results matter. Obtaining skilled legal representation to gather evidence in your defense, contact the government for purposes of getting the charges dropped or reduced, and advocate for you in court is essential in obtaining a dismissal, acquittal or reduction in the charges. We have successfully handled thousands of criminal cases and dedicate our practice to criminal defense. We have the skill, knowledge and dedication to help you avoid the penalties of a criminal conviction. If you or a loved one have been charged with a misdemeanor charge, contact our law office today at 877-985-0002 for a free and confidential consultation on your case. Or fill out a form on our website and an experienced criminal attorney will call you back to discuss your case.